Eyeglasses were partly why I got into correctional medicine in the first place. 16 years ago my local jail was under an ACLU consent decree and was desperate to find someone willing to provide medical care to the jail inmates under the strict terms of the consent decree. They finally found me, reluctant as I was at the time. So for the first two years of my correctional medicine career, I operated under an ACLU consent decree (May Those Days Never Return!). One of the medical issues that the ACLU was concerned about at the time was inmate eyeglasses. And so, from the very beginning of my correctional medical career, vision complaints and requests for eyeglasses were a hot topic I had to deal with. In fact, I remember that the very first medical clinic I did in the jail contained 3 or 4 inmates wanting glasses. Since I am a slow learner, it took me several years to sort out in my mind how to deal with the whole issue. But I eventually figured out that vision complaints basically fall into four categories, and each should be dealt with in a different way. There are four considerations to take into account when evaluating these requests for distance corrective lenses. The first is that the distant vista that inmates look at is very different from what people outside of jail look at. On the outside, there is a much greater need for distance vision correction; after all, people who are driving need to clearly identify objects far away. What is that object in the road a half mile away? But what is the furthest vista to look at in one my jails? From one end of the pod to the other is, perhaps, 200 feet. When we say “distance vision” in corrections, we are talking about a totally different “distance” than outside of jail. Instead of seeing things miles away; we are talking about seeing things within a room. But what does it mean that an inmate’s vision is so bad as to adversely affect their health? I interpret this to mean that an inmate’s vision is so bad that they run into doors, for example. I have actually seen a few inmates with vision this bad in my jails! It makes you wonder how they got along on the outside without glasses! For most others, there is no medical necessity for distance vision prescriptions. Wanting to see the TV better is not a medical issue by the NCCHC definition (in my opinion); nor is the complaint of “squinting at the TV gives me a headache.” (This reminds me of the old medical joke: Patient: “Moving my arm this way hurts. What should I do?” Doctor: “Don’t move your arm that way. Here’s my bill”). The third factor to remember for any complaint of distance vision problems is that glasses are not the only solution for distant vision problems. If you are having trouble seeing a distant object, whether it is an object right across the room or the object is a deer a mile away on the next ridge, there are three ways to improve your ability to see that object. The first is with magnifying lenses. The deer hunter uses binoculars; the person in the room can put on glasses. The second is simply to get closer. The closer you get, the better you can see the object. The third way is to illuminate the object with more light. If you are having trouble reading a book in a dim room, turn up the lights. All three methods work well. So if an inmate’s complaints that she cannot see the TV well, one legitimate piece of advice is simply to sit closer to the TV. The final consideration for distance vision correction is this: While there may not be a medical need for distance vision correction, there may be an institutional reason that a particular patient should receive distance correction. One example is the inmate who is taking classes like the GED while incarcerated, and who needs distance lenses to see the instructor and the whiteboard. You can move the inmate closer to the whiteboard, you can increase the light on the whiteboard and you can have the teacher write bigger, but it may be easier to just get that inmate distance lenses. This complaint, of course, has nothing to do with wanting glasses for reading or TV. 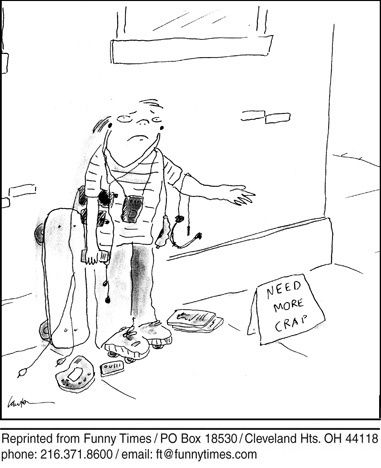 This is a true medical complaint. This patient should go to the medical clinic ASAP and quite possibly needs an urgent referral to an eye specialist. There are many examples of eye complaints that arise as a result of a medical condition. Examples include the inmate with sudden vision decrease in one eye, who in this case of mine had a retinal detachment, a diabetic who is having decreased vision as a complication of diabetes, or an elderly inmate with vision disturbances and headaches as a result of glaucoma or temporal arterititis. Individuals at high risk for medical complications of the eye include the elderly, those with chronic debilitating diseases like diabetes, and those taking anticoagulants. Correctional medical staff should have a basic understanding of the important medical disorders of the eye. The question here is how often do you do screening eye exams on patients who have no specific eye complaints? It is important to remember that there are two entirely different screening eye exams that can be performed. The first is a refractory exam, consisting of visual acuity (like reading a Snellen chart) and an evaluation of the eye using an auto refractor. The point of this evaluation is to prescribe corrective lenses. We’ll call this the Refractory Exam. The second type of routine screening is the medical eye exam, which, of course, checks for diseases of the eye. The medical eye exam consists, among other things, of tonometry to measure eyeball pressure and pupil dilatation to allow detailed evaluation of the retina. These two examinations can be done at the same time, but often are not. One problem with setting up a program for routine eye exams in corrections is that there is no clear-cut community standard for these exams. Different insurance policies authorize different exam periods. For example, really good health insurance will pay for a complete eye exam yearly for life. But many insurance policies have the eye exam as optional or omit it entirely. Idaho Medicaid used to pay for yearly eye exams but that benefit was cut a couple of years ago. There is only one guideline I am aware of. The American Optometry Association has written a guideline that says children younger than 18 should have a yearly refractory eye exam. From 18 to 40, the AOA recommends every 2 years. After age 40, due to age related diseases of the eye, the AOA says yearly eye exams should recommence. The AOA exams are comprehensive, meaning they include both refractory and medical screening. As far as I am aware, there have been no studies of the efficacy of such a rigorous schedule of eye exams on overall health as there have been for mammograms, PAP smears and prostate exams, for example. And our population is different from the population the AOA based this guideline one. Our patients don’t drive, for one example. Putting all of this together, it seems to make a difference whether your facility is a Juvenile Detention Center, a jail or a prison. In jails, whether juvenile or adult, no routine eye refractory exams need be ordered until the inmate has been incarcerated for one year unless there is a medical reason for an earlier eye exam, such as diabetes, hypertension, or severely impaired vision. In prisons, a scheduled eye exam of inmates younger than 40-50 every 2-3 years seems reasonable to me. Yearly eye exams of inmates in this age group seems excessive (even the AOA does not recommend exams that often!). The main problem of patients older than 40 is the loss of near vision (as I myself have learned). Keep those reading glasses available! Patients older than 40 with preexisting health conditions that can affect the eye should probably get a yearly eye exam. Whether healthy patients in their 40s without complaints need a yearly exam seems debatable to me. Since the incidence of serious eye pathology goes up with age, older patients should again receive yearly medical eye exams, even if they are healthy and without complaint. I do not know what the optimal age for this transition is, however. 40? 50? 55? 60? Make your choice! Does your facility have an effective policy for eye exams and eyeglass prescriptions that works? Please share! How can you practice good medicine and be cost-effective at the same time? This entry was posted in Medical Practice, Optometry and tagged correctional medicine, evidence based medicine, eye exams, eyeglasses, inmates, jail medicine, jails, ophthalmology, optometry, prisons on August 6, 2012 by Jeffrey Keller MD. Below see the policy for our jail. 1. Yearly exam for anyone over the age of 65. 2. Yearly exam for anyone with a history of glaucoma. 3. Annual fundus exams for inmates with hypertension, Type 1 diabetics, Type 2 diabetics, or HIV infection. 4. Approved for inmates with distance visual acuity (VA) below 20/40 in the worse eye. 5. Approved for inmates complaining of headaches or other visual symptoms while involved in vocational or educational programs that require reading or computer entry (GED program). 6. Approved for those inmates with medical complaints. 8. Ophthalmology referrals should be made by a physician or optometrist. 9. There is no minimum period of time within which a non-emergency eye evaluation should be completed. Emergencies should be added to the top of the exam list according to priority. 10. When possible schedule appointments in pairs. 1. Eyeglasses are not covered unless specific circumstances exist (this applies where VA is better than 20/100). Glasses for vision are not authorized unless there is evidence of significant visual impairment that could cause a serious health or safety concern during activities of daily living in the detention environment. 3. The professional eye exam determines that the visual acuity is 20/100 or worse in both eyes, one replacement pair of glasses is authorized (least expensive pair of clear prescription glasses only; no bifocals nor designer frames). 4. Inmates have a right to participate in their own defense. 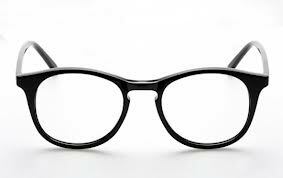 If reading glasses are required, inmate will put in a written request to medical for reading “cheater” glasses. These glasses should be returned to medical when inmate leaves the facility. 5. If lenses and frames are not approved, based on the above guidelines, inmate may request a copy of script and make arrangements with family to purchase lenses and frames on their own. 6. The jail is not financially responsible for glasses ordered by inmate before incarceration and still requires payment. a.	Keratoconus with best spectacle correction at less than 20/60. b. Unilateral aphakia with no implant. Contact lenses are not authorized for amblyopic cases or extensive macular damage. c.	Corneal scarring or excessive corneal astigmatism. d.	Greater than 4 diopters difference between the two eyes. e.	Myopia exceeding 10 diopters. Exceptions made if VA worse than current spectacles. f.	Severe hyperopia of 10 diopters or more, unless contacts will improve best current spectacle correction. 2. Contacts fitted only if the inmate is jailed for greater than one year due to inadequate follow-up time. 3. Contacts may not be sent with an inmate who leaves prior to the final fitting visit. 1. Prior to cataract surgery, all requests for Keratoconus therapy must supply information pertaining to attempts to improve the VA with single or piggy-back contact lenses. 2. Pterygium surgery candidates must have records to show significant interference with VA , an astigmatism reading of over 3 diopters, or a change of 30 degrees or more in the cylinder axis. 3. Laser surgery may be indicated if glaucoma cannot be controlled with medication. Medication is dispensed during regular medication passing (8am, 4pm, and /or 10 pm) so that compliance can be recorded. Wow, Erica! That’s great. It is much better than my own protocol, by far. If it is OK, I’m going to crib from it to improve my jails. Thank you, thank you! No problem. I am from a small county jail. Started 8 months ago, it seemed like things were out of control. The doctor and I have spent many hours researching protocols to make our jail more efficient. This protocol has cut the amount of requests from 4 a month to 1 every other. Glad you can find it useful. Hope others can too! Thanks for the comment and question, Dr. Wood. Like you, I do jails, not prisons and like you, I rarely do screening eye exams in my jails. These are done mainly in prisons. The main reason for this, of course, is that inmates spend years in prisons while the average length of stay in jails is days to weeks. So prisons have to deal with all types of screening exams like mammograms, PAP smears and routine eye exams that jails rarely worry about. However, I think there are a certain few patients in jails who should get a true medical screening eye exam. I can think of three examples. The first is the jail patient who is in jail for a long time. We had a patient in one of my jails who was given seven consecutive one-year sentences (he really irritated the judge, evidently). He resided in my jail for 5 1/2 of those seven years. I can think of several others who were in jail for a couple of years. If such patients are old enough (say 65) or have a chronic medical condition that can affect the eyes (like diabetes), a medical screening exam may be appropriate. As I read Erica’s jail policy, they wouldn’t even consider a screening eye exam until the patient has been in jail for a year. Even then, they have to meet other conditions to get the exam. Is that right Erica?. Second, some jail inmates have a chronic eye condition like glaucoma for which they are scheduled for a screening check up. If they are in jail when that exam is scheduled (and they are not getting out any time soon), I may authorize that screening exam. Third, because of overcrowding at the prison, my jails house many prison inmates. The Department of Correction may want their schedule of screening eye exams to continue while in jail. Of course, medical screening eye exams are not that difficult to do. I think we can do most of them at the jail without sending the patient to an optometrist (unlike refractory exams, which require equipment, like an auto refractor, that few jails have on hand). Pretty much if the inmate doesnt meet any of the requirements in 1-6, they dont get to go to the eye doctor. Doesnt matter how long they are here. Most inmates I have found just want their free pair of glasses, once they find they wont be getting their free pair of glasses unless there is a severe issue of safety, they dont put requests in for eye exams. A VA of 20/100 could lead to a real safety issue if the inmate can not go up and down the stairs safely, is running into walls or cant participate in their legal trial. With a community health background our medical team looks at things from the point of view of “what is the standard of care of care on the outside.” Would a 65 year old man with diabetes and HTN who hasnt had their eyes checked in 10 years be referred for an annual exam of the eyes, the answer is yes. Now unless he met certain criteria, he would not qualify for eye glasses, however his eyes would be healthy. By following certain standards of care, limits our jail from litigation. In NYS we also have to follow certain minimum standards, if minimum standards arent being met then that leads to grievances. We do a lot of coordination with the jail administrator about release dates and what not. That is why we schedule eye exams in 2’s. Could be months before I get 2 inmates to go together. Erica, I have to say,I love your protocols for vision! I work in a small (900 bed capacity) county jail that is privatized. Although much of our census is short-stay, we also house federal inmates and sentenced inmates on another contract. Some of our county inmates that are high profile cases, can stay as long as 3-4 yrs sometimes, awaiting trial and sentencing. If our facility didn’t have a plan in place for requests for eyeglasses, we would have a hard time. Our protocols mirror Erica’s, but not as in depth. Thank you Erica, for your response. Are Sunglasses approved in either Jail or DOC and is there a Policy in place that describes a standard, Like the Military, Non Descript style. There is an Inmate in the Jail I work at that has a History of an eye injury, and was approved by our contract providers to wear sunglasses, but his personal pair is too “commercial” if that makes sense. I know of no policy regarding sunglasses. I suspect that true medical need for sunglasses, especially indoors, would be exceedingly rare. I realize this is an old post, but what about an astigmatism? I don’t know where the edges of things are and can’t read without my glasses, but cheap reading glasses won’t do anything for me. I don’t know whether correctional facilities allow one to keep their glasses from before, but I would be really screwed if I were incarcerated without my glasses and limited to these policies. *You can’t see the TV? Move closer. *You get headaches when you squint at things? Stop squinting. *The sun hurts your eye in the rec yard? Stop staring at the sun. 1. IM can request a copy of the prescription, and family can order glasses and bring to prison for IM. Prison is not responsible for property.